Fiber cement siding is not only beautiful, but it can also bring some uniqueness to your home. While most homeowners choose vinyl or wood siding for their home, other homeowners want to choose a siding option that will make their home stand out from the rest. If you want a siding that will help your home be unique, you should consider fiber cement siding. Fiber cement siding is made up of cement, sand, and cellulose fiber. Let’s take a look at what it could do for your home! Unlike other siding options, fiber cement siding allows the homeowner to choose how your siding will look. 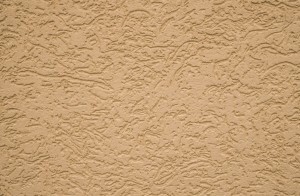 Fiber cement comes in many different color, shapes, and texture options to choose from. This siding can also imitate the appearance and shapes of vinyl and wood siding and shakes. Along with customizable textures and designs, fiber cement siding can also be painted in different colors to give your home just the right look. While wood and vinyl siding can carry some fire rating for your home, fiber cement siding holds a class A fire rating to protect your home from the flames. Fiber cement siding will also hold up against the elements and won’t lose its color or texture in the sun or rain. Fiber cement is factory primed before it is installed and will not have to be painted often. Once installed, the fiber siding will be protected against moisture penetration with a final coat of paint. This siding option has been known to hold its color for up to 15 years. Unlike other siding options, fiber cement siding has a good dimensional stability to it that other siding options are lacking. This means as your home heats up, the siding will not expand or shrink too much. This allows your paint to stay intact and lets you avoid cracks and chips in the paint. Unlike other sidings, fiber cement siding is resistant to both rot and pests. Fiber cement siding is not affected by moisture like vinyl siding and wood shakes so you won’t have to worry every time it rains. The word “termites” is enough to send a shiver up most people’s spines. But with fiber cement siding, you won’t have to worry about termites or other pests burrowing into your siding. If you are looking for a new look for your home, then fiber cement siding is for you! For more information on installing fiber cement siding, call Absolute Home Solutions today! This entry was posted on Friday, August 12th, 2016	at 2:21 pm	and is filed under Siding . You can follow any responses to this entry through the RSS 2.0 feed. You can leave a response, or trackback from your own site.